A full suite of video training, guides, resources, online events & whiteboard videos teaching e-commerce business owners and managers current strategies that will improve conversions and increase sales. If you could get your hands on a tried and tested system for marketing your ecommerce store and finally take precise action on the tasks that make the most difference to your stores success, can you imagine how good you're going to feel? What if you can follow the step by step processes that have built multiple six, seven and even eight figure ecommerce store. Hi! This is Richard Hill and I'm the owner of Digital marketing agency SEO Traffic Lab and ex owner of multiple ecommerce stores. Over the last 15 years I’ve sold over $60 million dollars worth of products through my own ecommerce stores and just over 5 years ago now I created what is now one of the most respected digital marketing agencies here in the UK – SEO Traffic Lab, with offices in Lincolnshire and London, with over 16 Google qualifications between our core team ! Our Agency has worked with clients like MotoNovo Finance, Beeston Animal Health, the team at Ebuyer Uk and many other well known ecommerce stores. Myself and the team can de found speaking at industry events throughout the year, and every three months we run our own ecommerce industry event called Lablive where we team up with our Agency Account managers from Google themselves and deliver a full day of training from both our offices in London and Lincolnshire here in the UK. Creating an ecommerce store has never been simpler, with multiple platforms and very low potential start up costs, actually creating your store has never been simpler. HOWEVER.. making that store a success, generating traffic, generating orders and making the whole business a success is a whole other story ! When I built my first ecommerce store back in 1998 it was relatively straight forward to rank a site for the products I was selling and generate orders ! But things have changed massively since then and no matter what niche your involved in now the competition is usually very fierce!! The truth is marketing your ecommerce store now consists of many ever changing moving parts, whether it’s site/platform structure, SEO, PPC, Content Marketing, Social Media , email marketing …. The list goes on. One of the biggest problems that most site owners have is knowing what to do with each of these aspects of digital marketing. As a digital marketing agency we have taken each and every aspect of the core elements of marketing an ecommerce store and turned this into a full set of processes for each and every service we offer. Which in turn means as a company we can deliver consistent results for our consultancy clients, if one of the ways that a certain element works changes, we simply update that process. Our consultancy rates start at $15000 per year ($1300 per month) and our minimum contract terms are 6 month. And I personally now charge $5000 per day for personal consultation. These aren't just numbers I pluck from thin air, that's genuinely what people are paying. So…. we created etoomi – no large monthly fees but the same team, the same processes and the same outcome all delivered in easy to digest modules. With over 40 years of combined ecommerce experience the team and myself will give you the inside track on how to leverage all aspects of the digital marketing process delivered direct to your desktop, tablet or mobile device. Over 8 core Modules we will take the guess work out of What’s Working NOW. Giving you full access to our optimized processes and help you plan activity more effectively all with a final outcome of improving conversions and increasing sales. For a one time investment of $997 you will receive IMMEDIATE Access to all 8 Modules. Covering the exact processes to implement a full ecommerce digital marketing strategy. Initially covering the basics all the way to advanced modules for those ecommerce site owners who are either starting from scratch or already have an establish presence online. Each step broken down into small digestible sections to ensure you don’t get overwhelmed and stay on track. Furthermore we have included several bonus resources that when implemented are worth more than the main course modules alone. Just TWO of these being our in house Google Penalty Recovery Toolkit – detailing how to recover from one of the many Google Penalties like the Google Panda Update and the Google Penguin Update. Another one being our “FES” system “Followup Ecommerce System” which is the actual follow up emails we use to send to clients existing customers that ensures existing customers are 200% more likely to buy from you again - simply copy and paste these templates in to your email system. Finally, your purchase is 100% Risk Free. If you’re not happy with eToomi for ANY reason, simply let our friendly support team know and we’ll happily refund your money. So to put it another way, you can actually try eToomi for 30 days…. 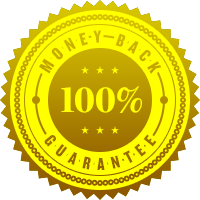 and if you feel you have not had amazing value and actually been given the actual steps to increase revenues to your site then we will refund your investment 100%. Simply click the green “Get Started Now” button and choose your track and we will see you in the members area ! etoomi is an online training platform dedicated to teaching e-commerce business owners and managers current strategies to help them sell more online. As soon as you log in you will be given access to step by step training videos, mind maps & resources to help you build success. Our training is completely geared to e-Commerce stores and e-commerce best practice, with an introductory, intermediate and advanced track. Whiteboard training videos live from our HQ that discuss and teach new elements of digital marketing as they develop. Access to our the exact tool set that we use for seo, ppc, analytics, email , penalty recover and others. All content secured behind our private membership portal (Members only) for easy access 24×7. Everything we teach is based on factual examples and tested methods, with our clients transacting over $60 million USD per month. All of our trainers are Google Qualifed having passed both Google Analytics and Adwords exams. All our content is built on a responsive platform ensuring it is mobile ready so you can watch all of our training anywhere. The Club House is the central location for all your up-to-date training, brought to you in bite size modules on a weekly basis and split into Introductory, Intermediate and in some instances Advanced levels depending on the topic. Each module is broken down into easy actionable lessons that ensure you don't get overwhelmed with lots of resources and real world examples. Working with our consulting clients on a daily basis we get to see first hand what is currently working and "The Lab" will take you behind the scenes of some of the newest strategies. Straight from the clients - straight to you via whiteboard videos and screen capture tutorials. This module looks at the different factors that impact on your sites search engine rankings and how you can improve them. It shows you different tools and methods that are used by the team at the Lab in order to gain a benchmark of where you website is and what needs to be worked on. Learn what the key elements of an SEO strategy are and how you can get started. Woorank - basic site audit tool. Screaming Frog - on-page audit tools used by professionals. Open Site Explorer - link auditing tool. How to do keyword research for your site - using Adwords Keyword Planner, Google Analytics, Google Webmaster Tool and your site. Find out why it is important to build up buckets of related keywords and target relevant long-tail keywords. How to write great page titles for Google. How to write great meta descriptions for Google. Optimise your H1 headers. Make sure your images are found with correct naming and alt tags. Write good copy to help strengthen your pages ranking ability. Optimise your urls to contain the relevant keywords. Give the search engines more! - use structured data to produce rich snippets in order to further strengthen your organic presence. How to install Google Analytics to help you see how visitors are interacting with your site and how you can improve this with data driven decisions. How can you make sure your site is as fast as possible for visitors and search engines. Why your site should be optimised for mobile and tablet devices with their market share increasing significantly. How to improve your local presence on Google - make some simple tweaks to give your local traffic a boost. Find out how to optimise your NAP listings. How to increase your ranking in the local 7 pack. Gain relevant local directory links and citations. Use YouTube for local success. a bonus to further help you improve your rankings and revenue. This module looks at tracking your sites progress and how visitors interact with it using Google Analytics. It also looks at how you can improve your sites performance in Google with Google Webmaster Tools. Finally advanced keyword techniques are examined in order to further progress your SEO campaign. What data to look at and how to effectively mine that data. Setting up custom dashboards. Understanding how Google sees your site. Using the data provided to get some quick wins in order to increase your rankings. bonus dashboards included and installation instructions. This module looks at how you can analyse your link profile in order to decide whether you need to improve it. It also looks at how you can earn relevant, quality links in order to increase your sites authority and improve your search engine rankings. Finally it shows you how to check whether you have been hit by a Google Penalty such as Panda or Penguin and how you can go about improving this. Analyse your link profile. Learn how you can improve your profile and increase your sites authority in the eyes of the search engines. Learn how to earn relevant high quality links. Learn how to identify links that are worth having from your competition. Learn how to identify if you have been hit with a Google penalty and which one. Learn how to recover from a Panda Penalty. Learn how to recover from a Penguin Penalty. Learn how to use the Disavow Tool and whether it is necessary. This module looks at conversion rate optimisation and how you can analyse and improve the way customers interact with your website. Are they completing the desired actions or goals on your site, if not see how you can make simple changes that will noticeably improve your conversions. Learn why heatmapping is important. Learn how to install heatmapping. Learn how to analyse and improve the data obtained through heatmapping analytics. Find out how to setup Google Analytics in order to be able to improve your conversions. Setup Goals to help identify drop-out. Improve Bounce Rate. Learn why A/B testing is so important for continual improvement. Learn how to carry out A/B testing on your site. Why you should get independent users to visit and test your site following a desired course of action. Find out how you can source independent website testers for this process. Your content matrix is the sum of many parts that you can select to suit your business digital marketing needs. How your content matrix is formed comes down to your choices based on competitor research, tried and tested methods, and the type of business you wish to project. Optimise the five pages crucial to any ecommerce site. Find your brand voice and draw out your story. Add quality content to website pages via product descriptions. Write content that search engines will appreciate. Choose the right content hub according to budget/time management/objectives. Optimise your content hub for maximum conversion. Introduction to the broad strand of social as a marketing tool. Learn the top takeaways for each social media platform. Introduction to the effective strand of email marketing. Learn how to set up an opt-in box on your website. Understand the scope of email and the possibilities. 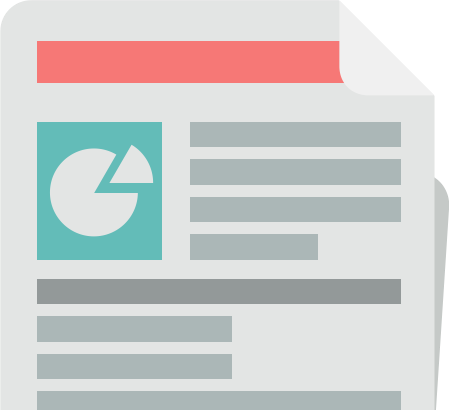 Introduction to press releases and their potential. How to reach out to the right people. Find out what is news worthy subject matter. What do we mean by a PDF?. How to select your design and other PDF basics you need to get started. How to syndicate your PDFs once they are complete. How to create a great resource to organise your content. Discover some fantastic tools to help with the process of content creation. How to track what your competitors are up to. Learn how to factor in your competitors activities into your content plan. A guide to writing the perfect blog. Get your checklist for crafting a great blog every time you write. The mechanics of writing an email. The different writing styles employed by different businesses. How to write a punch heading. How to write and deliver your press release. What to write about in a PDF. How the craft an engaging PDF. How to reach out to key influencers and experts within your field. A guide on being persistent and professional in your pursuit of great outreach. Learn the benefits of great outreach. How to make the most of outreach opportunities and make them worth the graft. Who are you trying to reach? 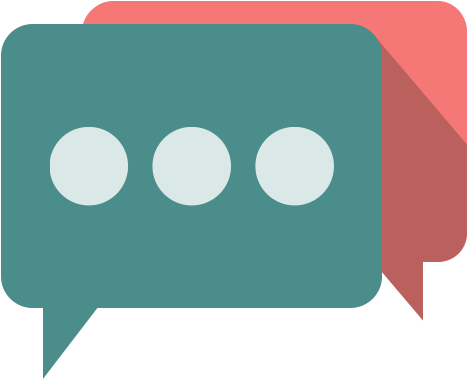 What makes your brand so interesting that people will want to talk about it and share it with their friends? How to make the giant of social media work for you. Advertisements – big business on Facebook or just big business for Facebook?. Getting to grips with Facebook analytics. How to tweet your way to success. How to increase ROI with the time designated to Twitter engagement. Getting to grips with Twitter analytics. Utilising the video master and adding a powerful medium to your marketing strategy. How to optimise YouTube for the most benefit. What analytics can be accessed on YouTube to track your success?. Making the most out of this professional business to business platform. How to utilise groups and increase followers. Getting to grips with LinkedIn analytics. The new kid on the block – is it worth mastering?. How to optimise hashtags and get your products greater reach. Find out what analytics are available on Instagram?. The power of Pinterest to ecommerce businesses. How to make the most out of your boards and attract attention. How to measure your success on this fast moving platform. How to build your killer social strategy. A guide on how to monitor and measure your campaign. It’s all about KPI and ROI. Your understanding of pay per click and continuous improvement of your campaigns isfundamental to achieving your paid media goals. We have focused upon Organic Search & Content Marketing up until now and developing your PPC strategy can supplement other marketing efforts to the maximum. Measurement and Tracking Conversions – What key metrics should you look to track before you develop your strategy. Key Considerations When Building Your Adwords Campaigns. Finding the correct Account Structure for your ecommerce store. Finding the right balance when investing budgets and setting realistic expectations. An introduction to Cost Per Click’s (CPC’S) and Quality Score. Why both of these really matter and the relationship between both. Learn the importance of Ad Extensions and how to set yourself apart from the competition. How to improve your Ad Position and reap the benefits of being in the sacred positions of 1 to 3. Learn how to set up Dynamic Remarketing – the secret weapon of the ecommerce storeowner. How to target specific visitors to your site. Understand the power of the Display Network and practical tips to refine your display. How to set up custom reports to give you the data that matters. 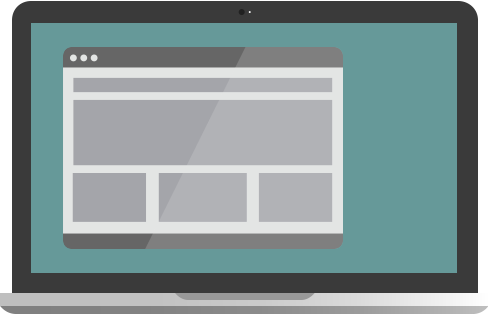 Learn how to see if your conversion and tracking code is on your site and working correctly. Understand how to make changes to your account with confidence – knowing you can rectify any mistakes you make or knowing what change to attribute the positive results to. How to know where to advertise on the display network and practical tips to select tailored sites and broadcasters to advertise on. Overcome the temptation of searching for your own adverts with a handy tool hidden away in the Adwords interface. Customise the Adwords interface to show the all-important data you want to manage. Reasons to involve Bing in your Pay Per Click strategy. How to select your design and other PDF basics you need to get started. Learn the unique features to Bing that can support your SEO and marketing efforts. What Makes eToomi the right choice compared to the other options ? Have Penguin, Panda or the Hummingbird update effected your site? By now we have all heard of Google's penchant for different animals within their algorithm but do you understand them and the affects they can have on your business? Understanding your key metrics in an instant is crucial for monitoring success and these custom designed eCommerce dashboards can be used to quickly understand all you key metrics. Of course! Our friendly support team are available to help you through your issues. We’ll guide you in the right direction and help you get past any issues you have. Simply our course has been designed to be sold worldwide and currently our shopping cart system will only allow 1 currency so we made the decision to sell in $ as this currency is more recognised worldwide. The course has been designed so whether your’e just beginning your ecommerce marketing or whether you have already been marketing online for many years, it cover training from beginner, intermediate and advanced. Each Module is broken down into bite sized lessons that can be paused and re listened to at any time you wish. So you go at your own pace and work through the modules when you wish. However we do recommend that you take each core module and focus on completing the tasks in a timely manner to get maximum return from your course investment. Simply Answer yes! Although you may decide depending on your own internal team skills that you may outsource certain tasks to others, but this is not necessary.